With four Grammy Awards and a combination of 26 RPM and JUNO Awards to her credit, Murray is justly celebrated. She holds the record for the most JUNO wins of any entertainer in history. Her many hits include “Snowbird” (1970), the Grammy-winning “Love Song” (1974), “You Needed Me” (1978), “Could I Have This Dance” (1980), “A Little Good News” (1983), “Nobody Loves Me Like You Do” (1984), and the number-one single “Now and Forever” (1986). She has released dozens of singles and more than 30 studio albums, and her sales exceed $24 million. She was a mentor on Canadian Idol in 2008, and in 2010, she helped carry the Olympic flag for the opening ceremonies of the Vancouver Winter Games. Murray is a member of the Country Music Hall of Fame Walkway of Stars in Nashville, and has her own star on the Hollywood Walk of Fame in Los Angeles. In 2011, Billboard ranked her No. 10 on its list of the 50 Biggest Adult Contemporary Artists Ever. In addition to her musical career, Murray has been involved with numerous charities. A collection of memorabilia from her personal and professional life opened in Springhill in 1989: the Anne Murray Centre is a registered charity that helps promote tourism to Nova Scotia and contributes to the local economy. Murray also helped build the Dr. Carson and Marion Murray Community Centre, which opened in her hometown in 2004. It has an NHL-sized rink and seats 800 people. Murray is also the Honorary National Chairperson of the Canadian Save The Children Fund, and has been a spokeswoman for many charities, including Colon Cancer Canada. Murray is a serious golf aficionado. Her Anne Murray Charity Golf Classic raised thousands of dollars for Colon Cancer Canada over its 10 years. She is the first woman to score a hole-in-one on the 108-yard, par 3, 17th hole at the Kaluhyat Golf Club in Las Vegas. And in 2007, she was named the world’s best female celebrity golfer by Golf for Women magazine. Murray released her autobiography, All of Me, in 2009. Releases debut studio album, What About Me, in 1968. “Snowbird” is certified gold by the RIAA in 1970. Inducted into Nashville’s Walkway of Stars in 1975. 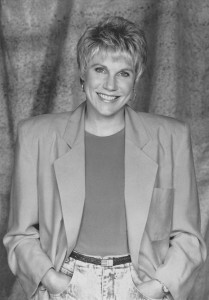 The Anne Murray Centre — a museum exploring the history of the singer — opens in her hometown of Springhill, N.S., in 1989. 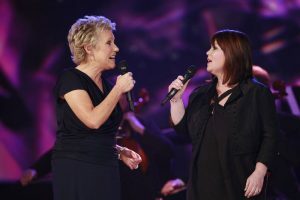 Anne Murray, the most awarded artist in JUNO Awards history, is inducted into The Canadian Music Hall of Fame by 1986 Inductee Gordon Lightfoot.